With all of the talk about chemicals and other substances that is on our fruits and vegetables when we purchase them, it’s a good idea to make sure that they are super clean before we eat them and serve them to our families. 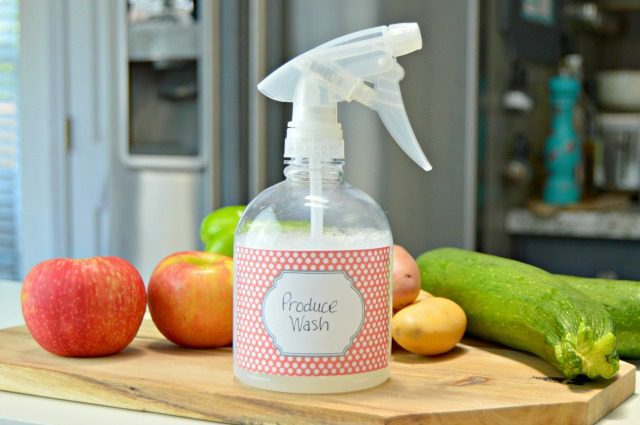 With a couple of household ingredients, it is super simple to make your own produce spray and get those fruits and veggies really clean. 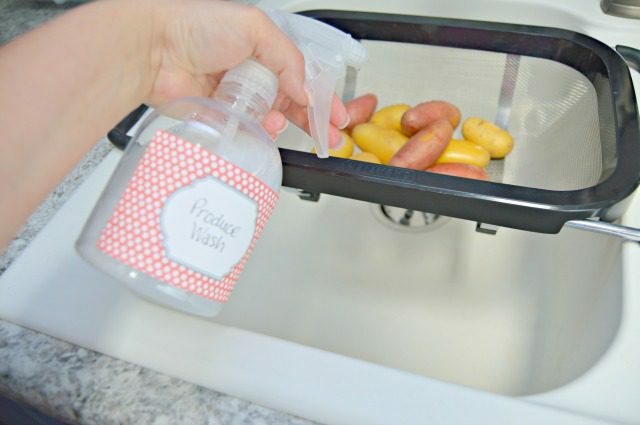 No need to buy the fruit and vegetable cleaner you see at the store…it’s got a few chemicals in it too most of the time! On a recent trip to the Farmer’s Market here in KY, I had an interesting conversation with one of the vendors about why it was so important to buy locally grown produce. She explained that many of the fruits and vegetables that we buy from the grocery store have been gassed and waxed before they hit our stores. I have to be honest, I’d never heard of such a thing. Then she asked me if I was picking out an apple, which one would I choose. I immediately replied that I would probably pick the shiniest one, and she just cocked her head to the side and gave me a look. She asked me if I had ever picked an actual apple from a tree, and I replied, “of course!” She asked me if it was shiny, and of course, it wasn’t. Hmmm…fresh picked apples aren’t shiny, so why are the apples at the grocery store shiny? To appeal to the customer. Then we talked a little about the chemicals that were sprayed on crops to keep bugs away. I guess I never really put a ton of thought into that. I mean, I wash my fruits and veggies before we eat them, but honestly, not with much thought or effort. That day, I decided that I would do two things. One, I would buy as much locally as I possibly could. Two, I would make sure to research how to clean my fruits and vegetables with a little more care. I started making my own produce wash and using it to clean all of my produce. It’s made with natural ingredients, including a vegetable based soap, and makes me feel so much better about what I am feeding my family. 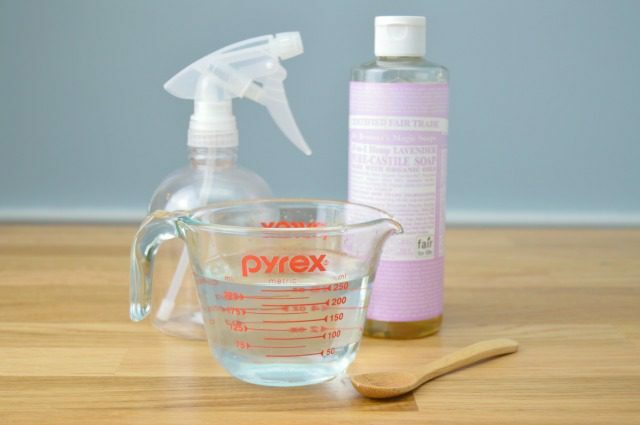 Add one cup of distilled water to the spray bottle, then add 1 teaspoon of Castile soap. You can double up this recipe if you have a larger spray bottle. Replace the lid of the bottle and shake well before each use. 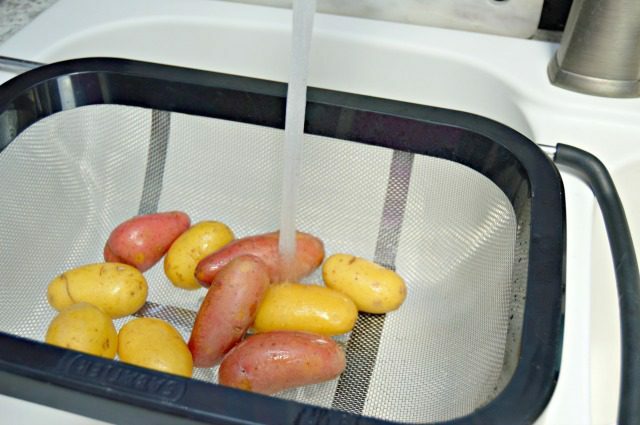 Because there are no chemical binders in this produce wash, the soap and water may separate in between uses. No worries, just give it a quick shake each time you want to use it. 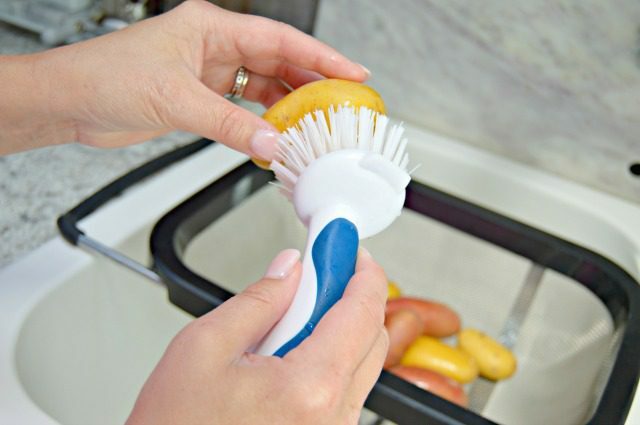 Spray your fruits and vegetables liberally with the produce wash. For tougher skinned produce like potatoes, apples, melons, kiwi and citrus fruits, use a produce scrub brush to clean them. For more delicately skinned fruits like squash, zucchini, berries and peaches, simply spray them and wipe them gently with a soft cloth or paper towel. Once you have cleaned your fruits and vegetables, rinse them well and either let them air dry or dry with a clean cloth or paper towel. Your fruits and veggies will be so much cleaner than they were before, and you can feel good about feeding them to your family. 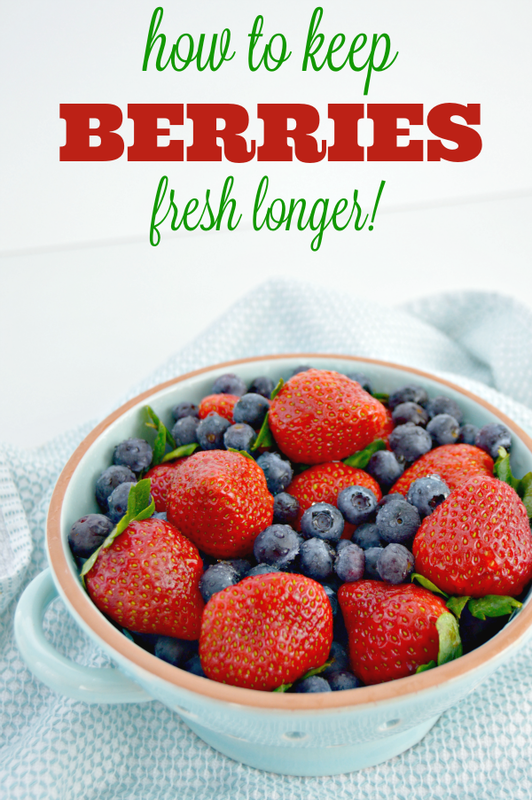 If you like the Produce Wash, then you are going to love my Easy Trick for Keeping Berries Fresh Longer! It’s been a true game changer for our family! There isn’t much worse than buying food and having it go to waste. 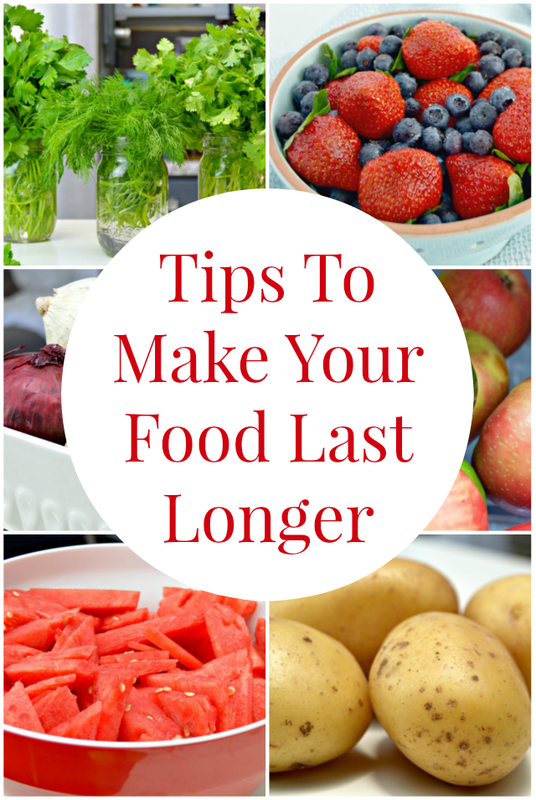 Check out some of my Easy Tips for Making Your Food Last Longer HERE! If you like the cute cleaning label in the photo, then you are in luck! You can print my Free Printable Cleaning Labels HERE to use for all of your homemade cleaning solutions. 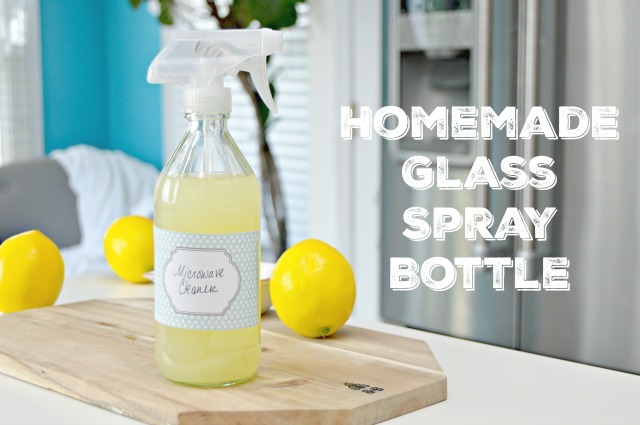 Also, if you’d like to make your own Glass Cleaning Spray Bottles, you can find that tutorial HERE! Looking for more home tips and homemade cleaning solutions? 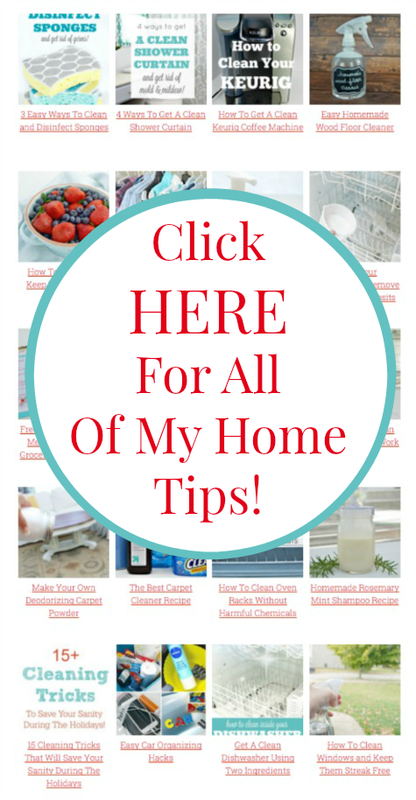 You can find them all HERE on my Home Tips Page! Where do I buy those bottles? you can also purchase them from many Dollar stores.